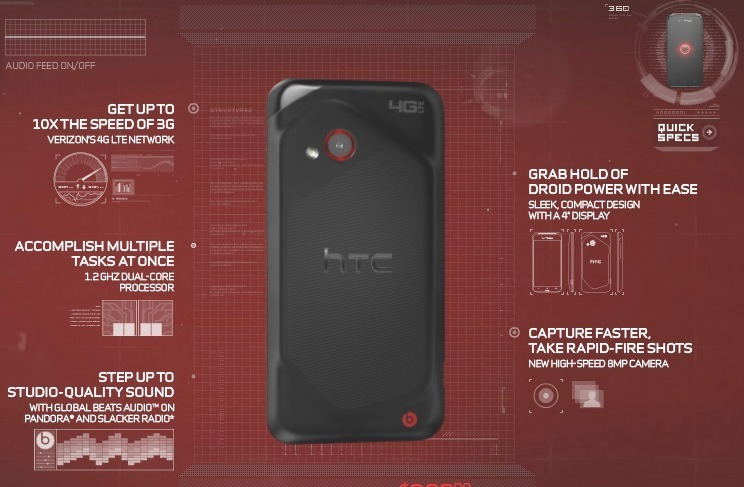 The official name of the next “DROID” on Verizon is the HTC DROID Incredible 4G LTE. The device made a brief appearance on DroidDoes.com this morning and is still sort of there if you want to check it out for yourself and see the final spec list. It’s exactly as our sources who gave us the first pictures of the device said, so you won’t be surprised. Well, there is a price point that needs to be addressed which we will get to. 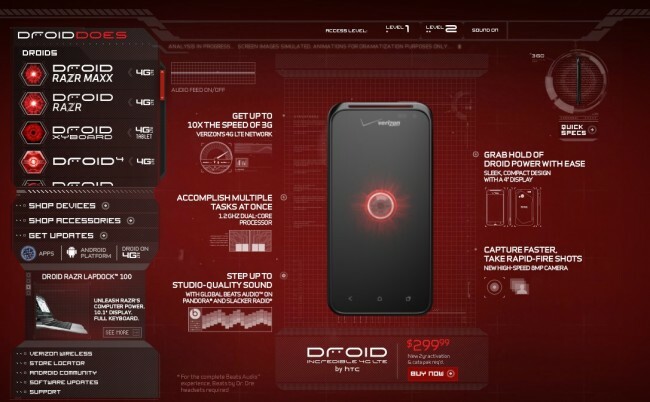 Pricing showed up as being $299 on contract, but we get the feeling that this was a leftover that had not been switched from the RAZR MAXX’s page. If clicked, it redirected to the MAXX, which we know is one of Verizon’s few $299 devices. We don’t have official word on this, but would be surprised if the Incredible 4G came in at $299. This phone should be at $199 and not a penny more. We have been shocked in the past though, so don’t take our word for it. Don’t forget to check out the first real pictures of the phone in the wild (more here) that we have courtesy of a DL reader. The last we had heard, this phone could launch on April 26, which would be this week. I’d say with this site going semi-live, we may just end up seeing it Thursday after all. DROID RAZR Dropping to $99 in the Morning?